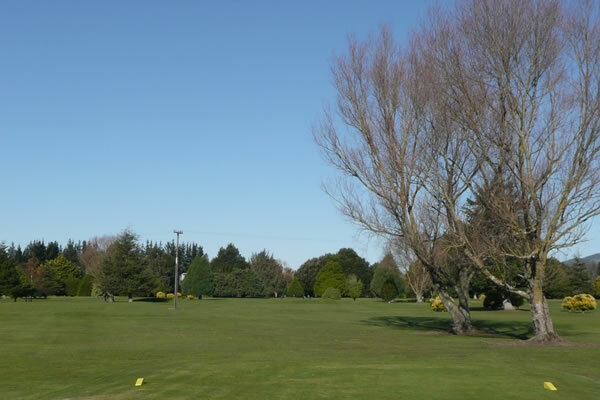 The course is situated approximately 30 kms south of Hamilton and 12 kms north west of Te Awamutu. 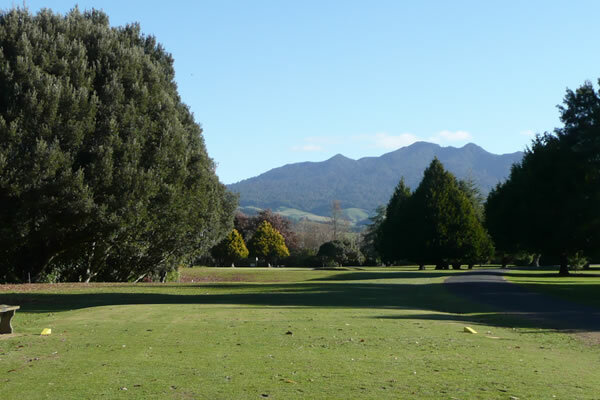 Find us approximately 1km north of the centre of Pirongia village on State Highway 39. (Kakaramea Road, Pirongia). 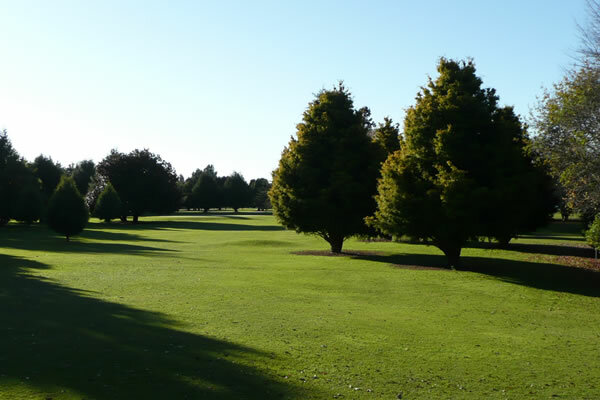 A straight away par 4 to start your round. Several options off the tee. 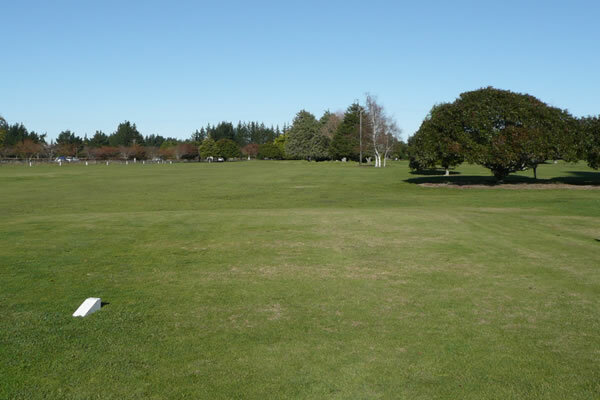 A driver through a narrow neck leaves you with a simple pitch, but wayward tee shots will set up an early test of your golf. An iron off the tee keeps you short of the neck, leaving a mid iron into this back to front sloping green. Watch the out of bounds that runs close by the left of this green. A straight forward short par 3 but the pin position on this green can leave you with some testing putts. Hitting long into a wide open fairway for both your tee and second shots will leave a short approach shot into a narrow two tiered green. 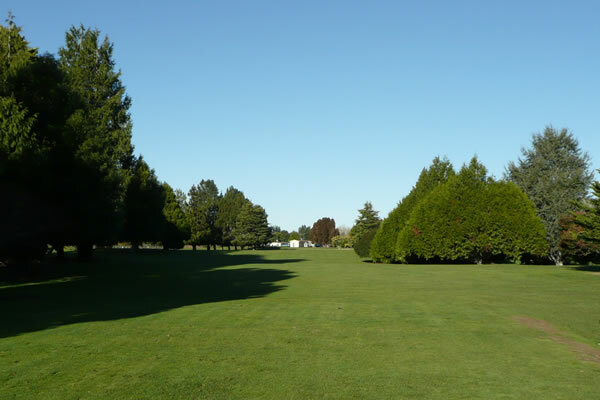 Missing the green left or right is the biggest threat to your par. Watch the out of bounds that runs down the left of this hole. This left to right dogleg par 4 is a good test of golf. A long straight or slight left to right tee shot sets up an approach into a large, flat green protected by a bunker on the right hand side. Out of bounds runs all the way down the left and trees from the corner down to the green can lead to a big number. Hitting a mid iron to a large flat green with very little break sounds easy. The out of bounds that runs close down the left of this hole will get you thinking though. No better chance for birdie than this right to left dogleg par 5. Hit the tee shot with a bit of right to left should leave you with a long to mid iron (long hitters may even have a short iron) into another flat green. Just be mindful of the out of bounds that runs down the left side of this hole and make sure you have enough club to clear the bunkers that protect the front of this green. 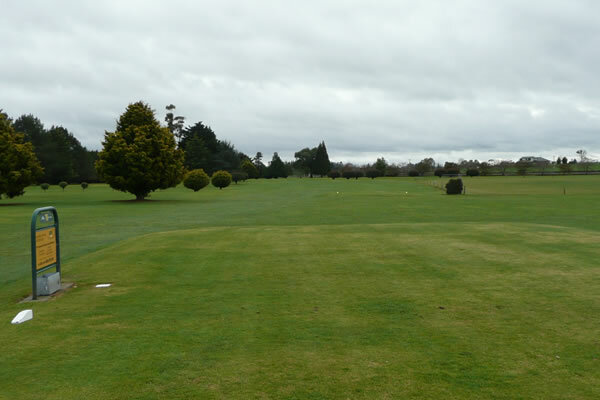 Hitting a centre/left drive will leave a straight forward approach into this back to front sloping green. Shrubs on the right can be penal. A straight par 5, the tee shot here is everything. The narrow neck catches a poorly hit drive. For longer hitters trees left and right can force you to lay up for your third. A long straight drive gives you a green light to go for it. 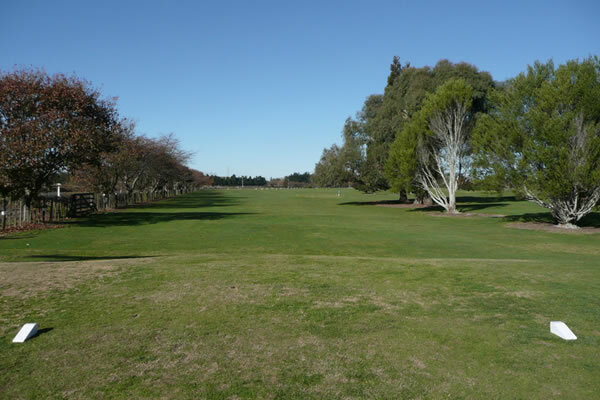 The green is flat and protected by a bunker on the right. No excuses here. A mid iron tee shot into a back to front sloping green. Keep away from the trees on the right though. They seldom drop a catch! 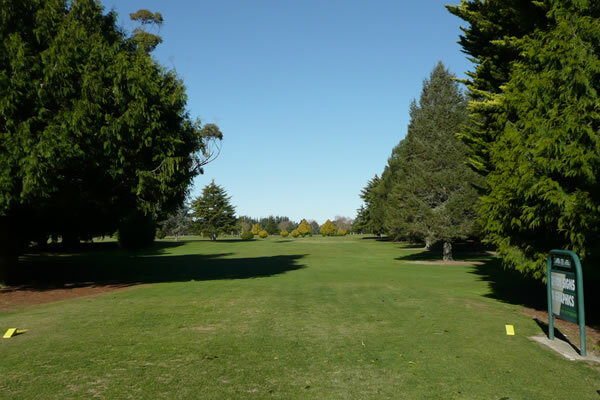 A challenging right to left dogleg par 4. 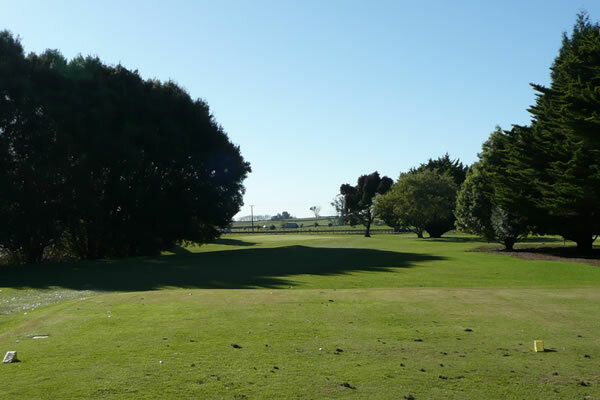 A centre right tee shot is ideal here. 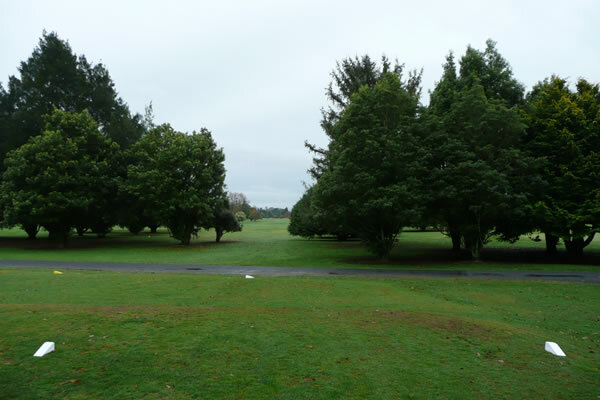 Long and left will leave a challenging approach over a couple of tall trees. The large green slopes back to front. 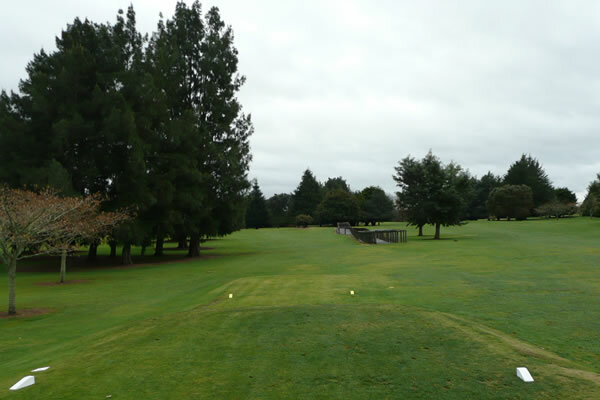 This short par 4 with a slight dogleg to the right can catch you out. Trees up the right will catch a wayward drive and lead to some creative shot making. 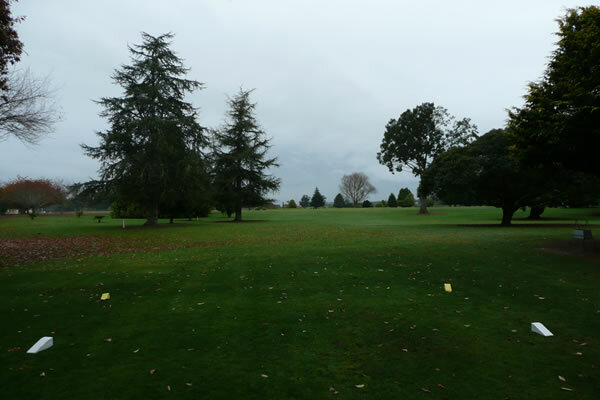 An approach from wide left can drift out of bounds, especially if the southerly is blowing. This short par 4 should cause few problems. A mid to long iron tee shot down the middle of this fairway leaves a short pitch to this green. Wayward tee shots down the left may have to work hard for par. Hitting off an elevated tee to a green that slopes off on all sides. Sounds easy, looks easy, but it does not play easy. If you cannot hit the green, then short siding yourself is, unusually, the easiest way to get up and down. 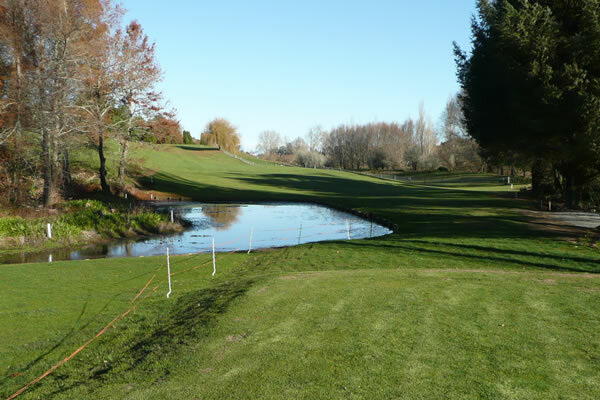 A relatively easy tee shot over a small lake into a wide fairway. 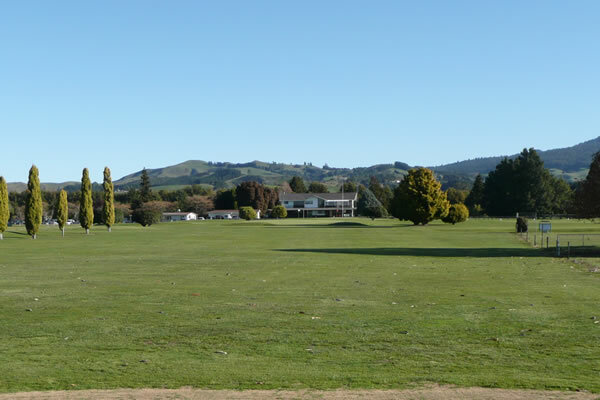 Longer hitters may have their approach affected by the lone willow near the top of the hill and everyone should try to avoid going into the paddock. Take one extra club for this uphill approach into the prevailing wind. The green is again large with a slight right to left slope. 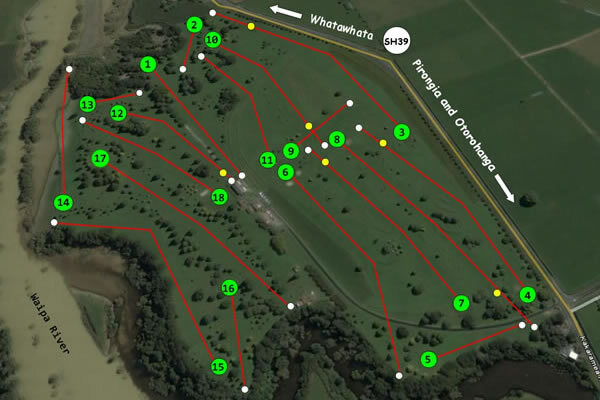 A real risk/reward this dogleg right hole. The more of the corner you take on the shorter your second shot becomes. However, if you are unsuccessful, you are facing a big number. 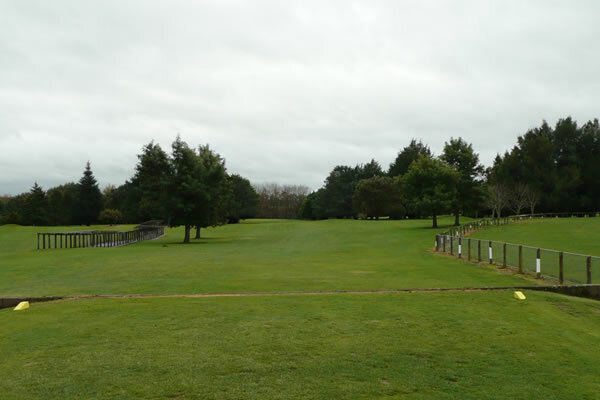 All that is needed here is a solid shot to the top of the hill followed by a good second into a wide fairway leaving a short approach into this two tiered green. 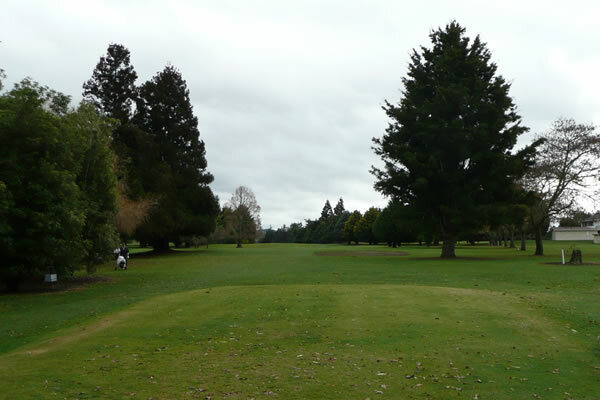 A relatively easy par three with the only trouble being trees on the right and front left. Take enough club, hit a good shot and you should be sweet!! After a relatively simple drive, you are faced with a decision to go for it or not. Going for the green requires a long straight shot. 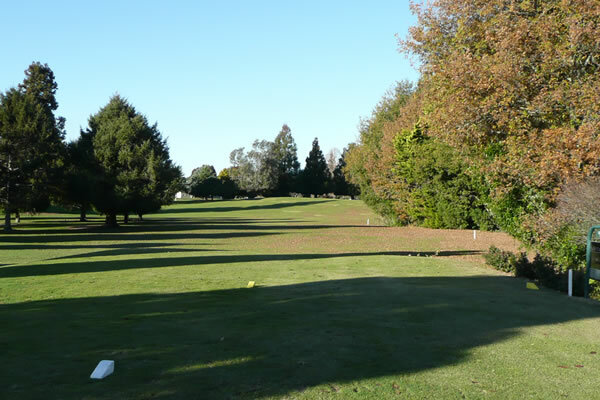 Tall trees short left and green high right may turn your birdie into a scrambling par. 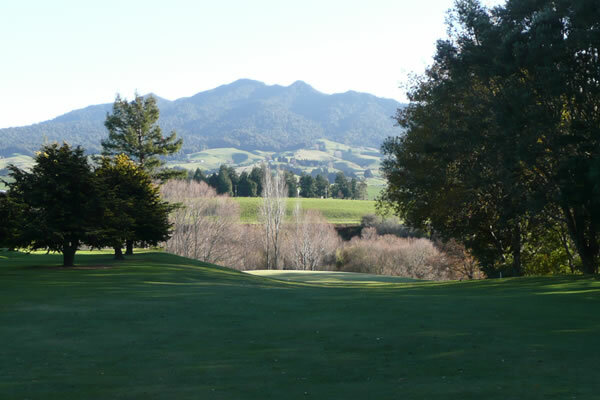 The green slopes steeply back to front so keep your ball below the hole. This relatively easy finishing hole requires two solid shots into the back to front sloping green. Hitting driver may leave you in the trees left or right. Hit your second solid to avoid the bunker short on the right. Good luck putting for your birdie.